A survey conducted in Ha Giang Province in Vietnam between September and October this year has recorded the highest number of Critically Endangered Tonkin snub-nosed monkeys known to date. The Management Board of the protected area, known as Khau Ca Species and Habitat Conservation Area, announced that between 108 – 113 of the distinctive looking primate were recorded at the site. Previously the highest recorded number for the protected area was approximately 90 individuals, suggesting the population is recovering. 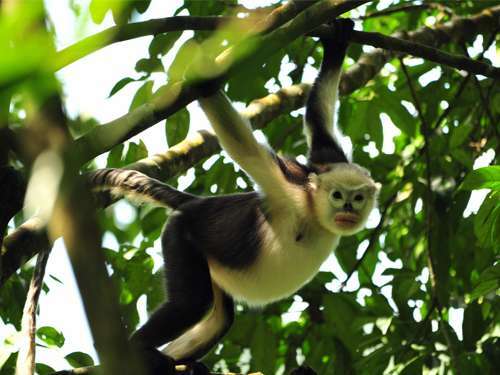 The survey was led by Fauna & Flora International's (FFI) Vietnam Primate Programme Biologist, Nguyen Van Truong, and assisted by locally based community conservation teams and the University of Colorado Boulder's research assistant team. The Tonkin snub-nosed monkey (Rhinopithecus avunculus) occurs only in Northern Vietnam in a few isolated forest patches. With an estimated global population of just 200-250 individuals, the species has been pushed to the brink of extinction through habitat loss and hunting, despite being protected under Vietnamese law. Khau Ca Species and Habitat Conservation Area is now confirmed to be home to the largest population of this Critically Endangered species – with almost half of the estimated global population in residence. On-going conservation of this site is vital to the continuation of this species. 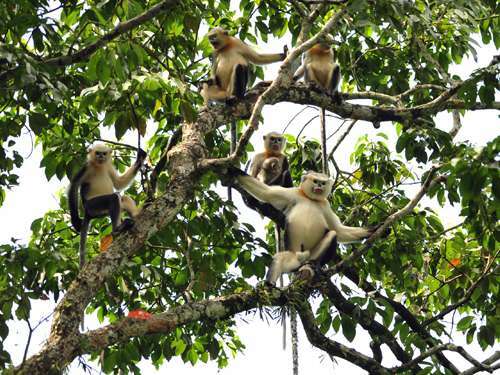 Hoang Van Tue, Chief of Conservation for the Forest Protection Department of Ha Giang said of the survey result, "The Management Board of Khau Ca Species and Habitat Conservation Area is very happy with this new information about the Tonkin snub-nosed monkeys. 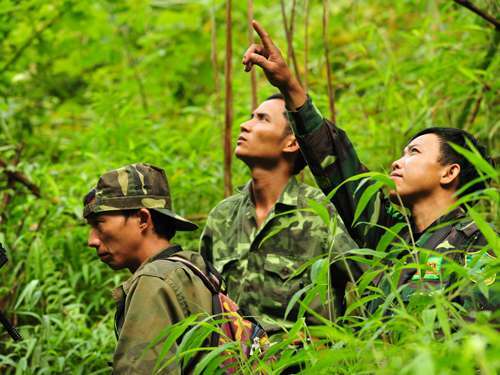 The conservation of Tonkin snub-nosed monkey in Khau Ca is the result of the combined effort of Ha Giang Forest Protection Department and international organisations. And the observation of new born monkeys during the survey is an encouraging sign for the future of the species." Dr Benjamin Rawson, regional Primate Programme Manager for FFI, congratulated those involved, saying, "To date, this represents one of the few examples of a reversal in decline of one of Vietnam's Critically Endangered species, and demonstrates that with the commitment of Vietnamese authorities and involvement of local communities, wildlife population declines can be reversed." Jake Brunner from IUCN, said, "This news confirms the importance of Khau Ca as the stronghold of the Tonkin snub-nosed monkey with half its global population. A key next step is for the provincial government to stream additional finance to this area to make protection of this population a sustainable long-term proposition."